Adoption O.N.E. is a private adoption agency located in Timmins, Ontario. We strive to offer confidential and personalized adoption services to both birth parents and adoptive parents. Our goal is to help families come together through adoption. 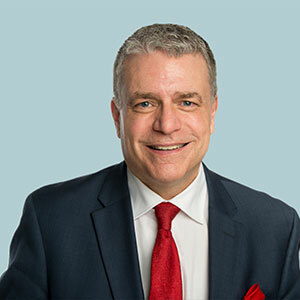 Justin Ellery has been practising as a lawyer since 1986. Shortly after, he became member of the Ontario Association of Counsel for Children’s Aid Societies. Justin has been approved as an Adoption Licensee since 1991 with the Ministry of Children, Community and Social Services. He is also Counsel in the delivery of service regarding Child Protection to: Northeastern Ontario Child and Family Services, Payukotayno James and Hudson Bay Family Services, Children’s Aid Society of the Districts of Sudbury and Manitoulin, and Kunuwanimano Child & Family Services. Justin is devoted to use his BEST EFFORTS to provide you with the best services possible. Mireille Fortier is first and foremost a mother of two beautiful children. She is a trained Counsellor and has many years of practise in individual, marital and group counselling. She is a Registered Social Worker with the Ontario College of Social Workers and Social Service Workers since 2003. Mireille also has experience in management, teaching, networking, planning and research. 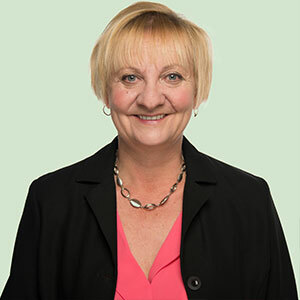 Having experienced adoption personally, Mireille quickly recognized the need for private adoption services in Northern Ontario. Through Adoption O.N.E, she hopes to offer more options to those parents who chose adoption for their children and their family. Mireille wishes to offer personalized services to parents as they prepare for what is the most important decision in their lives. Sheila Palaszewski is a Legal Assistant in the law firm of Ellery, Ellery & Cogar. She has been employed as a Legal Assistant for the last 32 years and has been the Adoption Assistant to Licensee, Justin Ellery, for 21 years. In addition to spending family time with her husband, children and grandchildren, Sheila enjoys gardening, fishing and the outdoors. Sheila offers the kindest smile and service you can ever hope for. We strive to offer personalized and confidential adoption services to both birth parents and adoptive parents. We shall endeavor to use our best efforts to provide you with the best services possible.